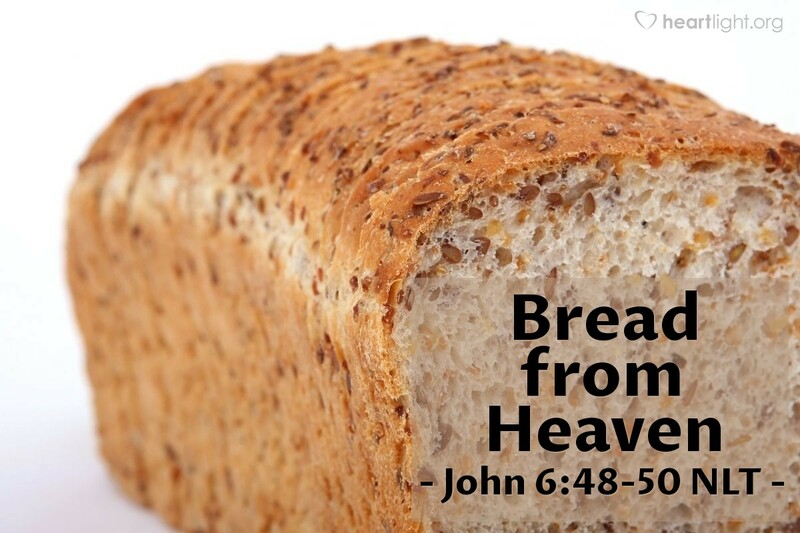 [Jesus said,] "Yes, I am the bread of life! Your ancestors ate manna in the wilderness, but they all died. Anyone who eats the bread from heaven, however, will never die." Manna came down from heaven once a day (Exodus 16:4-5). It couldn't be kept until the next day except for the Sabbath. It was a blessing from God, but it wasn't enduring. Jesus, however, is the bread of God that comes down out of heaven and gives lasting life. His words, his life, his body, his truth, are our sustenance. He gives life that never ends. Keep me hungry, dear LORD, for the only bread that can fulfill, sustain, and give life. Keep my heart hungry for Jesus, my bread of life. In the name of the Lord Jesus Christ, I pray. Amen.